A good friend of mine mentioned that he’d love to create a beer for the 10th anniversary of the 1984 Symposium – an event that he’s been running for … 10 years. 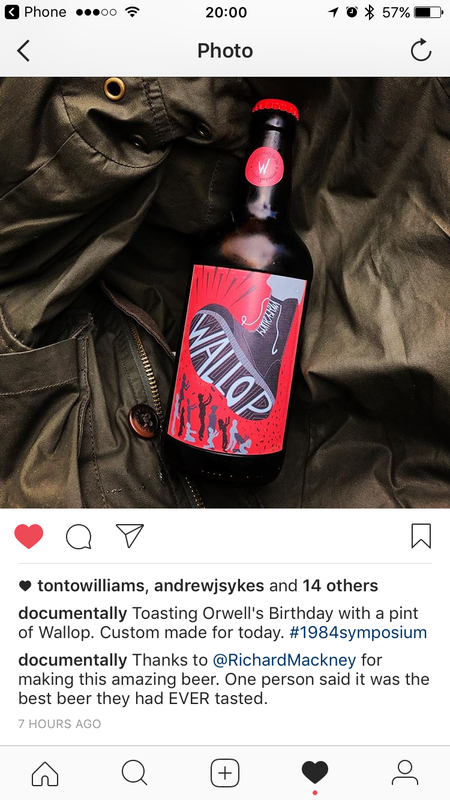 It’s a picnic and International gathering held at George Orwell’s grave on his birthday. 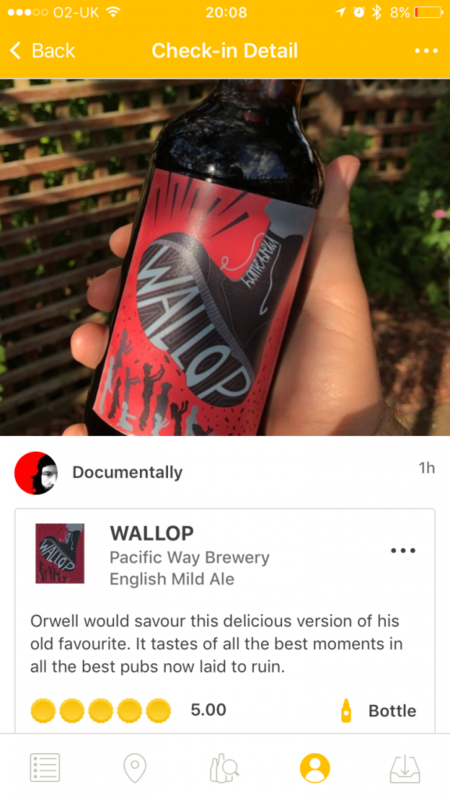 We started discussions on what style of beer would be appropriate and what beer could Orwell have been drinking in the Thirties. 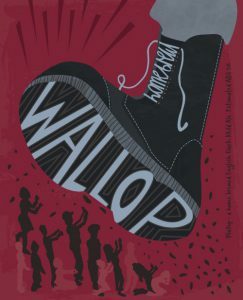 We decided that I’d research and create a modern Mild recipe bringing it up to date with a higher alcohol content than they would of been served in the thirties – and of course, it would be called WALLOP. 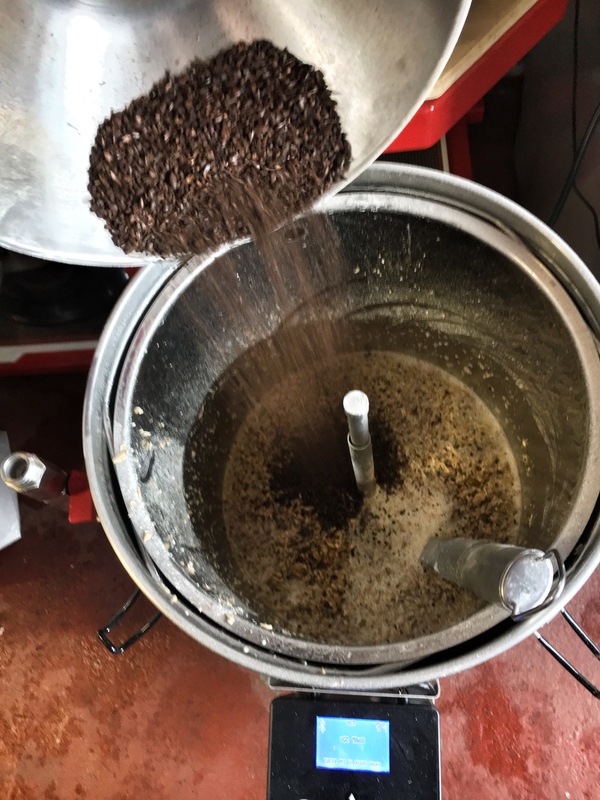 Martin and I decided that we would brew this on The Grainfather and I started to design the recipe by adding ingredients onto the BeerSmith iOS app aiming for a 5% ABV Dark Mild Ale. 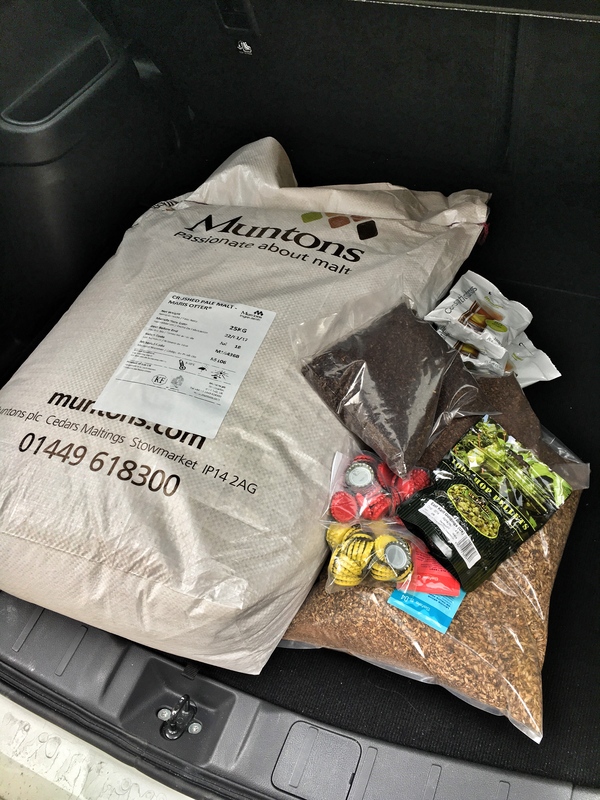 I nipped over to Creative Wine Making (they also sell creative beer making stuff) in Ilkeston to pick up a new 25KG bag of Maris Otter and some specialty malts. 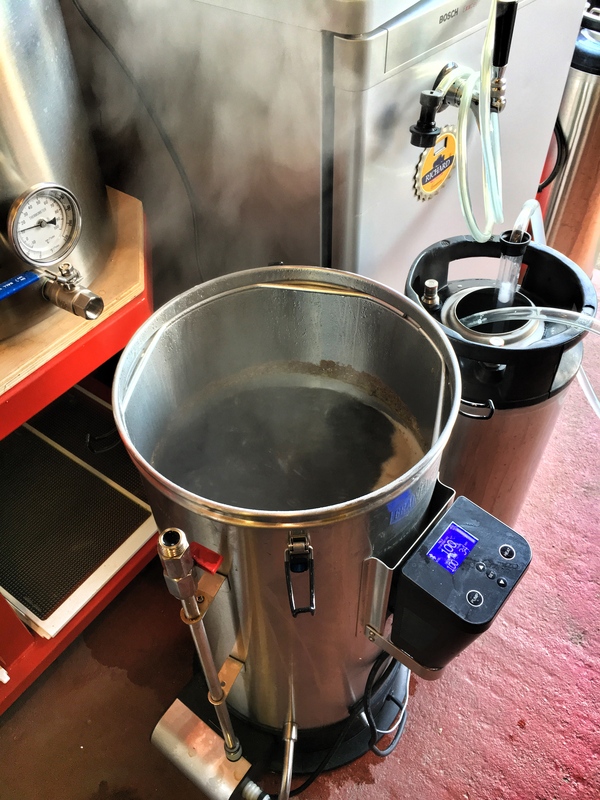 As you may of read from my previous posts, brewing with The Grainfather is a breeze and we loaded the recipe from BeerSmith onto The Grainfather connect Bluetooth control panel with a 60 minute mash and a 60 minute boil. I was pretty impressed with the colour of the wort, I didn’t want to risk it going too dark like a stout and needed to see a little bit of red tint coming through the glass. 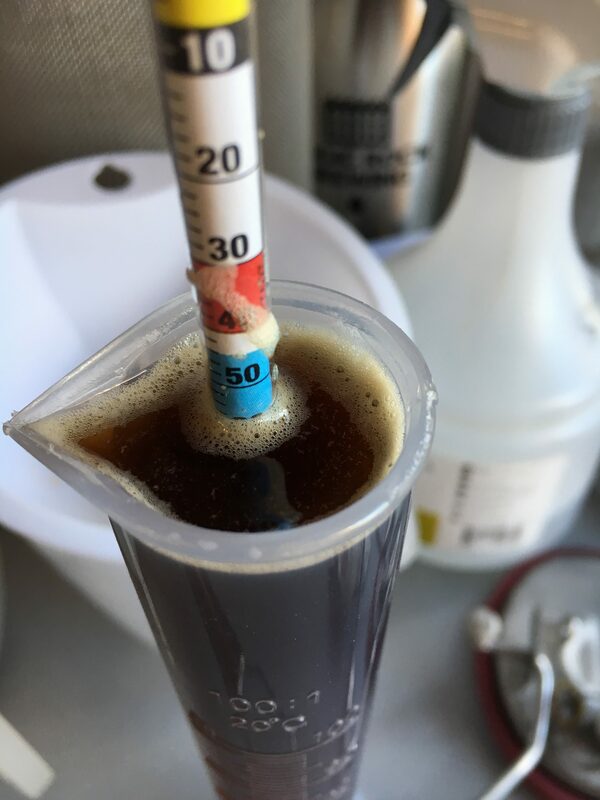 After only 8 days of fermentation in our conical SS Brewtech Brewmaster we bottled it directly from the FV with no secondary transfer. 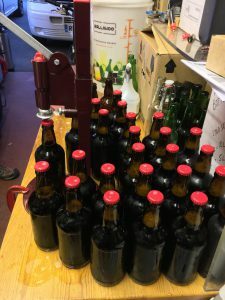 By the time it was opened at the 1984 Symposium it had conditioned in the bottle for 5 weeks. Glad you were inspired by my blog – got any of the beer left? 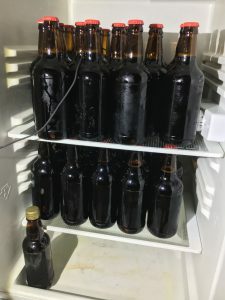 I have kept two bottles for a very special occasion. 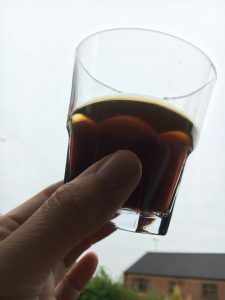 It went down really well. 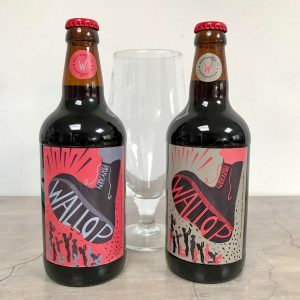 Orwell’s son very much enjoyed supping something close to what his Dad drank.